Bone broths, sushi 2.0, sake and mochi - You’ll be seeing a lot more Japanese cuisine on UK plates in 2017. So why not grab a slice of the action? 36 years since The Vapors caught the first symptoms in their song ‘Turning Japanese’, the British public is finally doing just this – well, when it comes to eating out anyway! While the likes of Itsu and Wasabi Sushi & Bento have been serving Japanese food to urban diners for years now, 2017 will see a more diverse and independent range of Japanese food options hit the UK high streets and beyond. According to the Oriental Food Report, the number of Japanese eateries in the UK increased by 67% between 2010 and 2015, making it the fastest growing form of Asian cuisine in the UK market. In 2013, Japanese food accounted for 65% of all ‘pan-Asian’ dishes listed on UK menus, and this figure has now increased to 81% with sushi the most popular order – beating the likes of chicken curry and noodles. Proof it’s not just a craze in the capital, four-out-of-five people who eat Japanese food are now living outside of London; further signifying that Japanese food is moving into the mainstream. Indeed, just last August, British giant Itsu reported a 21.8% rise in sales from 2015 to hit £82.6m and the chain has even launched its own delivery app with 21,000 people signing up on the first day alone. Similarly, Wasabi Sushi & Bento added seven new branches in 2015 – compared to just four in the previous year. Taiwanese-inspired Bao, which serves filled Bao buns with anything from soy-milk-marinated chicken to Horlicks ice cream, launched its first restaurant in Soho in March 2015 following its success in Netil Market in Hackney – and quickly followed this by opening a second premises in Fitzrovia. Proof that the nation’s appetite for authentic Asian-style grub won’t be filled anytime soon. Luckily for budding business owners, the great British public’s love affair with Japanese food is only just beginning. Just 17% of all Japanese food-eaters prepare their meals at home from scratch – a mouth-watering prospect for those operating in the take-away sector. Furthermore, Japanese food has lent itself to be more successfully developed in the ready-meal market in recent years (think supermarket sushi) and 44% of UK Japanese food eaters say they buy such ready meals regularly – the highest figure of any of the oriental foods, including Chinese. Indeed, with the gym-craze still in full swing, Japanese food is increasingly seen as a healthier alternative to traditional takeaway; particularly as much is made of the general wellbeing of the Japanese people with the average life expectancy being a whopping 83.10 years. With many dishes containing combinations of seafood, vegetables, fermented ingredients and generally served in smaller portions, Japanese food can cater to many consumer bases from the athletic to the adventurous. While your product should seek to remain authentic at all times, the varying and flexible nature of Japanese food means you can seek to satisfy high end consumers looking for a more traditional experience, alternatively you could set up a market stall pop-up serving Japanese street food, or you could even launch a new take on an old favourite – just don’t try all three at once! Indeed, among the latest Japanese cuisines whetting the appetites of UK foodies include burosu (a bone broth), hirayachi (savoury onion pancakes), unagi (freshwater eel), shabu-shabu (a form of hotpot), and mochi (sweet rice balls, often served with ice cream). Founded by brother and sister duo Howard and Vivien Wong in their kitchen, London-based Little Moons (pictured) produces artisan ice cream mochi and the business now generates £3m annually. However, it’s a twist on traditional Japanese favourites which we believe presents the biggest business opportunities for 2017. Described as ‘sushi 2.0’, Hawaiian poke fuses South Pacific seafood with Japanese flavours. Served in Fitzrovia’s Ahi Poke, poke – a raw-fish salad marinated with soy, lime and sesame and accompanied with rice – is served in a street-friendly plastic bowl and has gained the reputation of a health food. Kurobuta, in Marble Arch, offers diners an ever trendy bottomless brunch complete with a build your own ramen counter – proving that even the Japanese food market can satisfy the millennial market’s hunger for customisation. While Koya Bar in Soho serves up a full English breakfast complete with rice congee and miso soup, proving that Japanese innovation can be applied just about anywhere. Don’t fancy yourself as a restaurateur? If gardening or grow-your-own is more your scene then you could carve an interesting niche in the market by farming and selling traditionally Japanese plants or vegetables. Having grown watercress on its Dorset and Hampshire farms since the 1850s, The Watercress Company launched The Wasabi Company in 2010 after a Japanese chef visited and noted that the mild temperature suited the growing of wasabi. One of the only commercial sellers of wasabi in Europe, the company now sells a range of wasabi-based products on its website and has customers all over Europe. It can even name Raymond Blanc’s Le Manoir aux Quatre Saison as a client. Or, as UK consumers become more adventurous, you could always launch your own DIY sushi subscription kit with accompanying accessories. See our guide to starting a subscription-based business here. “Whether it’s being featured in popular culture (like HBO’s TV show Girls) or hosting the next Olympics – Brits have become increasingly intrigued by Japan’s culture and cuisine. 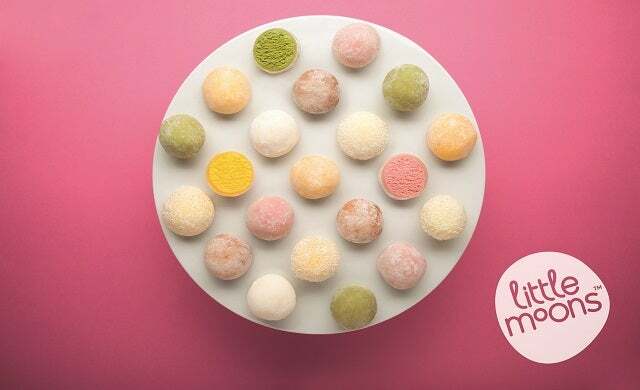 Sushi is already incredibly popular in the UK so it was only a matter of time before mochi, Japan’s traditional and most popular sweet treat, made its mark here too.